In an interview with EuroGamer, Grid developer Codemasters made good on last week's promise for an August 8 reveal of the sequel to its stylish racer. A mix of interesting new features and slightly concerning decisions came out of the meeting. 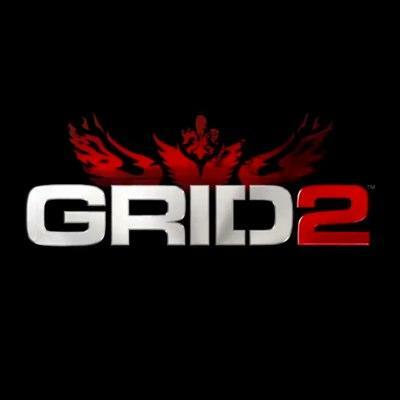 Grid 2 will feature point-to-point street races in a variety of locations, including California, Chicago and Paris. It also features a multiplayer mode that is completely separate from the single player game, which EuroGamer says seems to be inspired by Call of Duty's multiplayer experience. The more notable changes moving forward, though, are not in the additions but the omissions. According to Codemasters, in-car cameras were used by only five percent of players, which has led to the decision to allow only hood-locked and chase cameras. This has already lead to declarations by fans of "No Cockpit, No Buy!" on the above video's YouTube page. Unfortunately for those fans, the numbers just don't support keeping such a feature. Stepping back, it seems to be a pretty easy decision; very few people use the feature, and accurately modeling the in-car dash for each of the vehicles is a lot of extra work. The other interesting change is the full u-turn compared with what Forza Motorsport has been working toward. While the Forza series has been adding more difficulty options than one would've previously thought possible, Grid is removing the options. Called TrueFeel, the 1000Hz physics engine is being tuned to let each car handle authentically without making it inaccessible to players less interested in simulation. The concern driving fans (like myself) see is that this could potentially numb the driving experience. The highs and lows of driving are gone. Sure, anyone can do it, but the sense of accomplishment that comes from taming a particularly wild vehicle may disappear as well. Speaking of wild vehicles, Codemasters confirmed in the interview that brands like BMW, Nissan, McLaren and Koenigsegg will be present across the four tiers of cars players will advance through; unfortunately some of the legendary supercar names like Porsche, Ferrari, and Lamborghini will be missing. Fans of the first have a lot to look forward to as more news trickles out over the next year or so. How TrueFeel affects the driving experience should become more apparent, and concern over the lack of a cockpit view could grow into a real issue or disappear entirely. Without specifying a month or even a season, Codemasters has given Grid a 2013 time-frame for release.